The Mudd-Ox Fort Mac Edition is our specialist twin Hydrostatic Turbo Diesel model developed for the harshest of industrial environments. 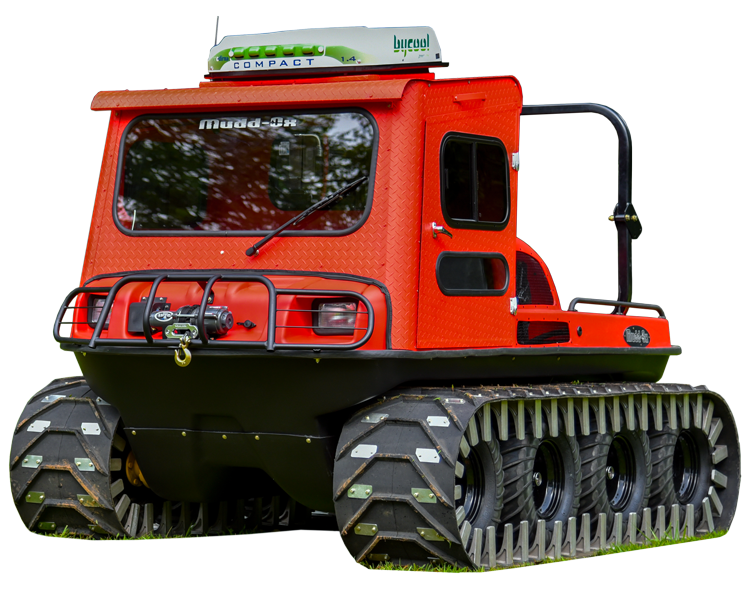 It utilises a quad hydrostatic drive system with tracks. The high performance hydrostatic drive system delivers the ultimate in robust management of extremes of power over extended periods of usage with excellent handling and safe control; precise control of power, drive and traction assure exact positioning and agile maneuverability even in the harshest of environments. There is no loss of traction or torque when steering and extremes of gradient are handled seamlessly; forwards or in reverse. The Mudd-Ox Fort Mac Edition has a zero turning radius, superior ride quality, is simple to control with regulated engine speed and without the need for gear changes. Its mid-engine configuration assures excellent stability on land or water. As for all Mudd-Ox ATVs, a wide range of optional accessories greatly increases its utility in a range of demanding roles. The HTD Kubota diesel engine offers high power at low revs with high reliability providing economy and the ability to operate efficiently in extremes of conditions. 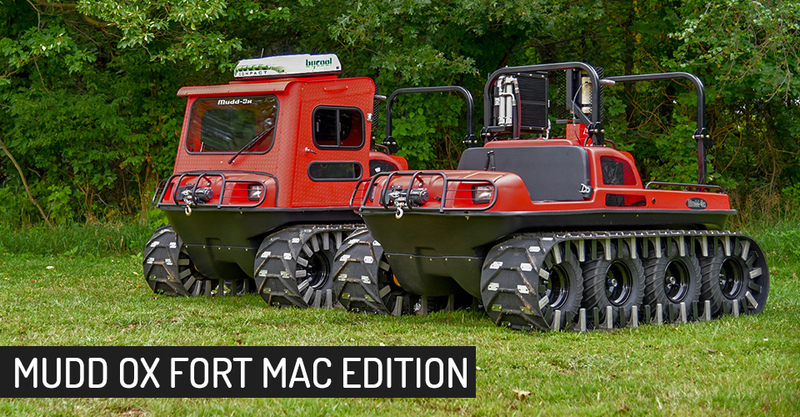 The Mudd-Ox Fort Mac Edition is fully configurable to a variety of industrial applications demanding the ultimate in performance, reliability and ease of service – specifications are available on request.